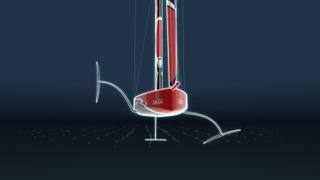 The Defender Emirates Team New Zealand and the Challenger of Record Luna Rossa have revealed the first details of the design for the AC75 foiling monohull that will race in the 36th America’s Cup. Challengers heading to Auckland in 2021 will have to master the art of sailing with twin canting T-foils, which can be lifted out of the water on the windward side to reduce drag. Safety and stability has been a key consideration and as a result the new AC75 raceboats able to self-right in the event of a capsize, while the foils can be folded under the hull to allow the vessel to fit into a standard marina berth. It is hoped that this technology will filter through to cruising yachts in future and we have already seen the first evidence of this in the form of the Baltic 142 Custom foiling superyacht. British contender Sir Ben Ainslie, team principal and skipper of Land Rover BAR, gave his backing to the design, claiming that it will add to the growing popularity of the America's Cup. "The sport has gained a lot of new fans and this boat, delivered with a global circuit and high-quality free-to-air broadcast TV will cement their interest in the America's Cup and build on a very strong base," he predicted. 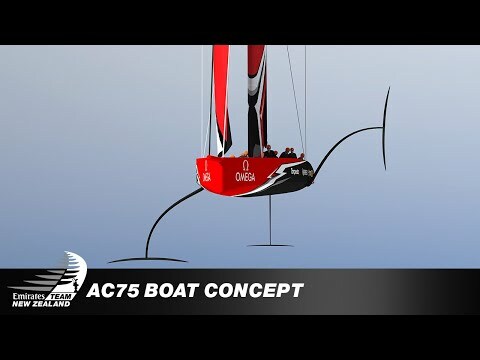 This dramatic design has spent four months in development and will be refined further before the AC75 Class Rule deadline of March 31, 2018.